How To Change Facebook Page Name and Get Approval - XpertShout Yayın bulunmaktadır. Change Facebook page name and get approval on Facebook page name change request. This trick is about getting approval for changing Facebook page name request. It is not easy to change Facebook page name as it seen. Many times you change Facebook page name and send them request for change but Facebook does not accept the request. So, this become big problem for you at that time. First you have to know that why your request does not accept. Why Facebook Page Name Change Request Does Not Accept? Every site has policy for every function on his site. You may know that your Facebook id name can be changed easily without any approval or any request. Facebook pages policy is different than Facebook id policy. To change Facebook page name, one and more important condition is applied. Don't worry, i will tell you about condition and it solution. You can only change first or second name only for getting approval. if you change both first and last name then you can not get approval and never. I will tell you with an example. Let my page name is 'Straight Way'. I have to change this Facebook page name. Here first name is 'Straight' and second name is 'Way'. So if you change name completely to (for example) 'Sports Hub' then you can not change completely first and second name. Let 'Straight Way' page first name is Straight . you have to rename first name as 'Sports' and save it. Within 5 minutes you will get notification for approval. Your page name now become Sports Way. Now you have to change second name 'Way' to 'Hub'. 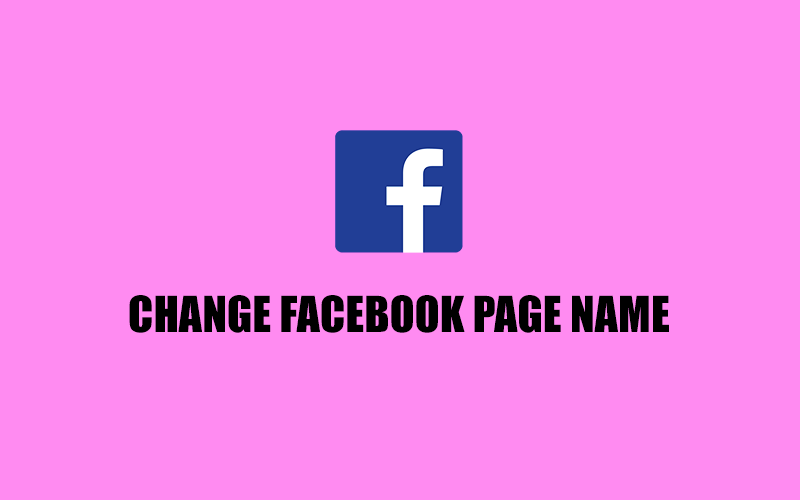 But it will not change Facebook page name immediately. After changing first name, second name will be change after 1 week. You can see date and time while try to change second name. After given time, you similarly have to change second name of Facebook page from 'Way' to 'Hub'. Again you will get approval within 5 minutes. Congrats! Now your page name becomes 'Sports Hub'.